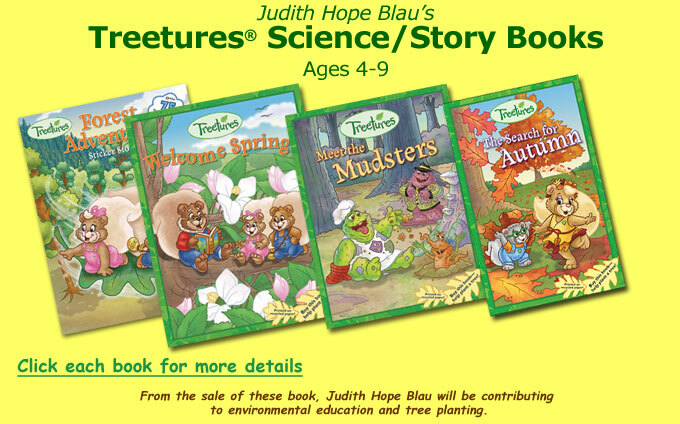 The Treeture characters are guides that help children learn all about the way a tree functions and how important trees, plant life, birds, animals, and insects are to keeping our earth healthy. They are teaching tools that use fantasy to explain scientific facts. 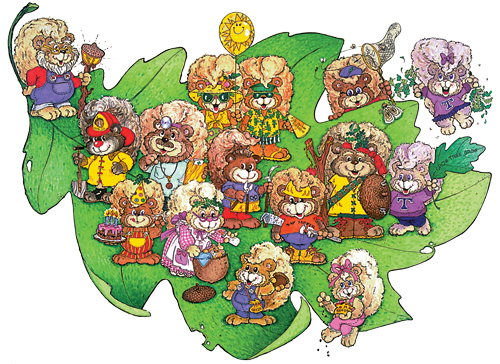 The Treetures made their national debut on Arbor Day, April 26th 1991, when they joined President Bush's America the Beautiful National Tree Program. They helped launch a world wide tree planting program called Trees Around the World, sponsored by Rotary International. The Treeture Program continues to work with the public, nonprofit organizations and the government to bring its message to children. In 2000, The Treeture Environmental Education Program became a national partner of MILLENNIUM GREEN, a White House Council for the Millennium conservation project. This special program reached out to the public to encourage stewardship and the planting of trees and gardens throughout the world. Treetures compose a community of characters that are dedicated to tree planting, tree care and teaching the value of trees to our children. The goal of the concept is to combine ecological education with entertainment. Being a Treeture Teacher means understanding the need for trees, how they function, and teaching that message to others. Each Treeture represents a different aspect of tree growth and care. Learning the language of the trees is exciting and challenging, so watch for new Treeture messages and materials. We are decoding them as soon as they are TREE-Mailed to us from the Treetures.